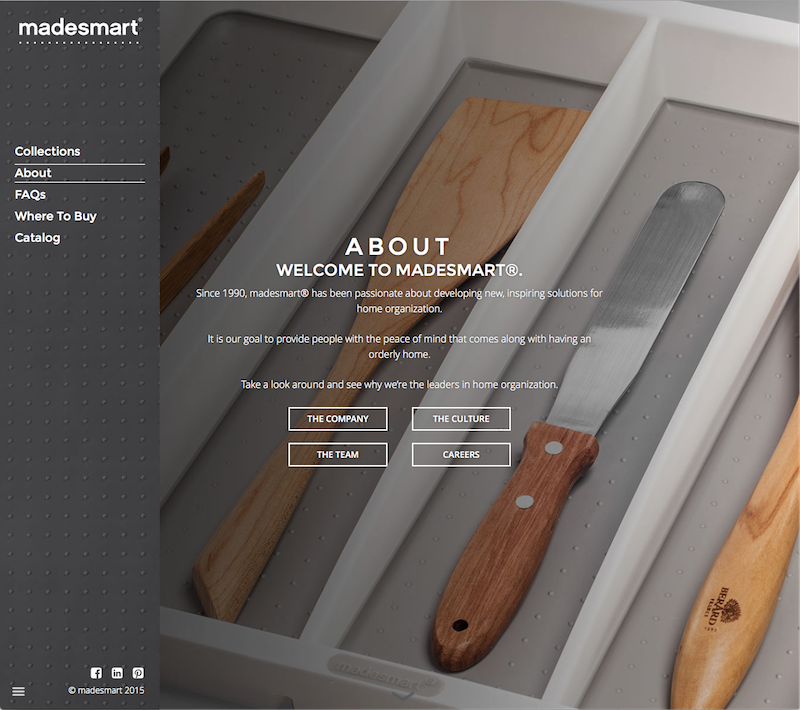 MadeSmart is a manufacturing company based in Minnesota that creates organizational products. The company went through a rebranding with the help of IMAGEHAUS, and part of that was a new website. We worked with IMAGEHAUS who designed the site, with us coding the design and integrating it into WordPress. This design challenged the status quo with vertical and horizontal scrolling, snapping panels and a great deal of interactive elements within the whole site.